REPORTER: Hi, another congratulations on your win, and I would like to know, how do you feel after the game and if you’re ready to give it another try. NADAL: I lost, by the way. REPORTER: Yeah, I know, but it’s a win anyway. 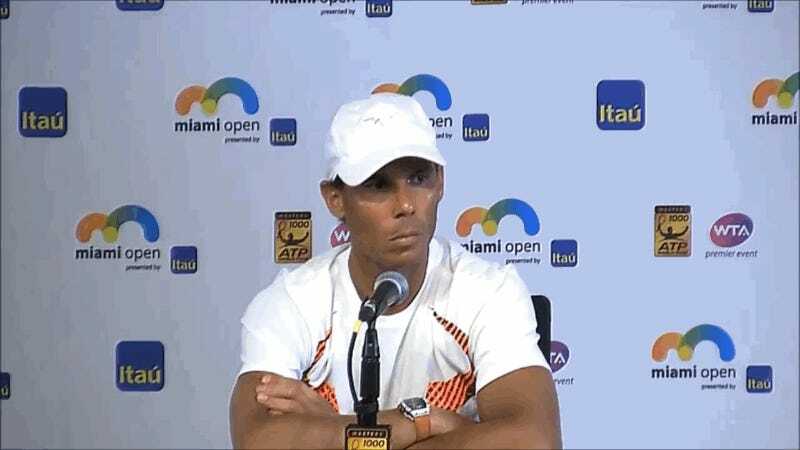 Nadal responded politely, even though the reporter doubled down on the error, but the way he broke eye contact and shook his head was still satisfying. The inquirer joins a rich history within the sport.